MyHealthandFitness’ web site and its contents are made available without warranties or guarantees of any kind and MyHealthandFitness, it’s employees, contributing author(s) or co-author(s) of any articles or column(s), or first, second, or third party contributors, disclaim(s) any liability for any type or form of injury, including personal, or damage of any kind or type resulting from the use of this web site or from any information, advice, goods, services or other resources that may be mentioned or made accessible through this web site. This includes personal physical injury from performing any exercise described, or any and all forms of injury and/or damage to person, both animate or inanimate, mental, physical, electronic or any and other form of injury currently described or that may be described in the future in any medical dictionary, law book(s), fitness and training informational sources, and any and all other sources. You agree to defend, indemnify, and hold MyHealthandFitness, its officers, directors, employees, agents, author(s), co-author(s), licensor’s, and suppliers, harmless from and against any claims, actions or demands, liabilities and settlements including without limitation, reasonable legal and accounting fees, resulting from, or alleged to result from use of any and/or all information obtained from this MyHealthandFitness web site or sites that may be linked to it. Furthermore, the reader and/or executioner of the information and methods described on this site assumes all liability for attempting to perform, adhere to, purchase, or execute or consume in any manner, any and all injuries or damages that may occur as a result of use of information, advice, goods, services or other resources from the use of this web site or any parties associated with the information supplied here. 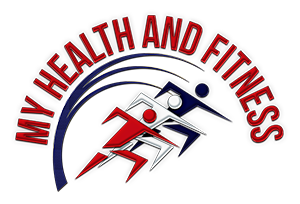 The contents of the MyHealthandFitness Site, such as text, graphics, images, information obtained from MyHealthandFitness’ licensor’s, and other material contained on the MyHealthandFitness Site (“Content”) are for informational and educational purposes only. Although the content is supported by current research, MyHealthandFitness did not perform this research thus, the content is not intended to be a substitute for professional medical advice, diagnosis, or treatment. The content is also not intended to be a substitute for professional training, nutrition, diet, health, wellness, fitness, training tips, eating disorders, related issues or any other form of advice. Always seek the advice of your physician, other qualified health provider, licensed physical therapist, registered dietician, certified professional trainer, professional coach, or other qualified professional with any questions you may have regarding a medical condition, training, diet & nutrition, health & wellness, eating disorders, supplements, training tips and advice, and any or all other related issues. Never disregard professional medical, health, training, fitness or any and all related issues and advice, or delay in seeking it because of something you have read on the MyHealthandFitness web site! If you think you may have a medical emergency, call your doctor or 911 immediately. MyHealthandFitness does not recommend or endorse any specific tests, physicians, products, procedures, opinions, or other information that may be mentioned on the web site. 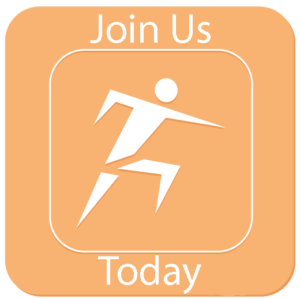 Reliance on any information provided by MyHealthandFitness, MyHealthandFitness employees, authors, co-authors, others appearing on the Site at the invitation of MyHealthandFitness, or other visitors to the Site is solely at your own risk. Fitness and health, related training advice, nutritional, diet and all information presented on these pages is intended as an educational resource and is not intended as a substitute for proper medical, training, injury treatment, or other advice. Consult your physician or health care professional and/or a certified professional trainer before performing any of the exercises described on these pages or any exercise technique or regimen, particularly if you are pregnant or nursing, or if you are elderly or have chronic or recurring medical conditions. Discontinue any exercise that causes you pain or severe discomfort and consult a medical expert. You must not attempt to do exercises or any kind of program, diet & nutritional regimens, or any kind/type thereof relating to such issues that are featured here at any time out of the presence of a qualified medical, nutritional, fitness and strength training professional. Neither MyHealthandFitness, the author(s) of the information nor the producer nor distributors of such information make any warranty of any kind in regard to the content of the information presented in any section or on the entire MyHealthandFitness web site. Exercise, nutrition, and food supplements may affect you differently from another person depending upon your choices, combinations, intensity, timing, general health, and genetics, as well as potentially numerous other factors. On this web site, MyHealthandFitness cannot offer you specific advice on your fitness program nor guarantee your results, as this web site is intended merely for information and educational purposes regarding a wide variety of health and fitness issues and about your fitness, nutrition, food supplement, and exercise choices. MyHealthandFitness makes no representation or warranty as to the accuracy of the information provided; in particular, and without limitation of the foregoing, any express or implied warranty of fitness for a particular purpose, merchantability, warranties arising by custom or usage and warranties by operation of law are expressly disclaimed. The mention of specific products, supplements, training aids, devices, diets, nutritional products, exercise programs, and other related products, methods, or use of such does not constitute endorsement by either MyHealthandFitness or the author of a Question and Answer, Column, or article. Nor does any informational claims expressed by these products, training methods, aids devices, diets, programs, and related product(s), supplies, informational material and so forth that is related to the aforementioned or any and all other related issues constitute endorsement by MyHealthandFitness, it’s employees, or author(s) of a piece. MyHealthandFitness, its employees, author(s), or contributing professional(s) is/are not responsible for first, second, third, or other parties claims about products or services mentioned on the MyHealthandFitness web site or damage(s) or injury(s) of any kind that may result from use of such or visiting other web sites as a result thereof. MyHealthandFitness and the contributors to MyHealthandFitness.com are not engaged in rendering medical, legal or other professional advice, and the contents of MyHealthandFitness.com are not intended to take the place of such advice. Please consult a physician or other appropriate professional before using any of the information, advice, goods, services or other resources that you may find on the MyHealthandFitness web site. MyHealthandFitness reserves the right to edit, adapt, remove, or refuse to post any material submitted for posting to the Testimonials, Articles, FAQ’s, and any portion of the web site. You understand that MyHealthandFitness is free to use any ideas, concepts, techniques or know-how obtained in any communications you send this web site for any purpose whatsoever including, but not limited to, developing, manufacturing, marketing and selling of any products based upon such information without obligation to compensate you or anyone else. MyHealthandFitness strongly cautions all users of MyHealthandFitness.com against posting any material unlawful, threatening, libelous, defamatory, obscene, pornographic or profane. MyHealthandFitness also strongly cautions all users against posting material that infringes upon the copyrights or trademarks or any third party, invades the privacy or infringes upon the rights of any third party, or is otherwise in violation of law. All users to this web site agree to indemnify, defend or hold harmless MyHealthandFitness and its officers and employees or author(s) posting information or articles on the web site against any liability for any such material. MyHealthandFitness reserves all rights under copyright, trademark and other applicable law in the contents of MyHealthandFitness.com and the trademarks and service marks of MyHealthandFitness use in MyHealthandFitness.com.